Well, here's the best part, because what picked this up originally was, I don't even know, Think Progress. Think Progress, yes. Let's Think Progress. Do you know Progressive has "Progress" in it? It must be good. Think Progress is the first that picked this up on the blog. They're like, Glenn Beck thinks that maybe Media Matters then picked up the story and put a Glenn Beck think maybe and then they cut and pasted and put it in the TelePrompTer for Keith Olbermann: Glenn Beck thinks maybe he's the worst person in the world! Then Media Matters reported that Keith Olbermann reported the story that Media Matters reported that Keith Olbermann should report. So if they could just now get Media Matters to alert Think Progress and so Think Progress could report that Media Matters reported that Keith Olbermann reported what Media Matters reported that Think Progress reported originally, it would be a feedback loop that would never end and everything would be perfect in the world. • Glenn Beck and John Hagee need to be disappeared. They are a plague to rational thinkers everywhere. • You’ve gotta be kidding me. We need to write more letters to CNNHN about this guy. • As opposed to the grinning , braying , stupid @$#! that has fouled the Oval Office and our reputation throughout the world , Glenn Speck(of @$#!) ? @$#! friggin’ @$#! ; what exactly is it that these morons actually see in Chimpy the Wonder Monkey that all others are insignificant at best , and make them laughably and hysterically view a moronic , colossal absolute FAILURE as the 2nd Coming ? The same thing could be said for every single one of you hypocritical numbnuts every time you call George Bush “Satan, the Anti-Christ” or whatever else you can come up with to insult someone. Am I really the only person who noticed that Glenn was LAUGHING as he asked the question? Am I the only person here with the intellectual honesty to admit that Beck WAS NOT BEING SERIOUS when he asked it? AM I THE ONLY PERSON HERE WHO SAW IT IN CONTEXT AND HEARD HIM JOKE ABOUT IT IMMEDIATELY AFTERWARDS, HEARD HIM PREDICT THAT IDIOTS LIKE THE PEOPLE HERE WOULD TAKE IT OUT OF CONTEXT AND POST IT AS IF HE WAS BEING SERIOUS! "But everybody on both sides have either deified their candidates and made it absolutely right on everything and it's that way or it's nothing, or they've taken the other side and they've looked at the other candidate and said they must be the antichrist. "Oh, George Bush is the most evil guy ever to be in the presidency." And now people are doing exactly what they did to Bill Clinton. I mean, I'm getting the mail that, you know, Barack Obama is the antichrist. Come on. When we strike the reasonable balance and say, okay, I can completely disagree with this guy's policies but you know what, this part over here is pretty decent or this part over here, we may actually have a chance to be able to make some real progress." Beck's getting letters and emails from people warning him that Barack Obama is the Antichrist, and he thinks that's stupid. Then a few days later he's got this right wing Pastor on his show so he jokingly asks what he characterized as "a light hearted question belittling those who believe every new politician on the scene that doesn’t agree with them is the antichrist." He's making fun of the nutjobs people! Ironically, it's the same nutjobs that the Think Progress/Media Matters/Keith Olbermann's of the world make fun of. But these groups are so enraged, so ideologically hateful, that they can't even see that. Funny how Glenn Beck doesn't talk anymore about those dogs he tortured and killed (pit bulls). I can't tell, Shimmy. Are you being sarcastic or are you serious? Media Matters, Olbermann, and (apparently) ThinkProgress (although I didn't know about them until I read this artcle) don't do a very good service for the liberal crowd, because they're not very honest when it comes to some of the things that at least Glenn Beck says. Thinking back, I think I remember him laughing about this, so it's goofy that these liberal people assumed that he was serious. It's interesting that Beck seems to see just how far he can taunt these people, like a cat and mouse game. That's a good way to put it. And frankly, it can be fun. I know I've been guilty of purposely tweaking people in some of my writings, just for the fun of it. The premise of Glenn Beck as the victim is totally absurd. If Glenn thought the emails were absurd, why bring it up at all? The answer is because he was trying to create a controversy over something he actually DOES have a position about. Glenn Beck is a Mormon, which means he has a dogma agenda of his own. 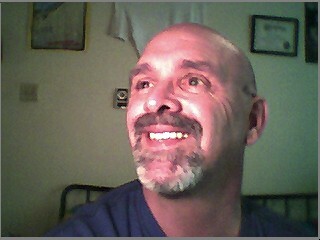 If you want to know more about what Glenn's agenda is, please visit my blog, www.glennbeckreport.com. At that website I debunk Glenn Beck's lies, whack job conspiracy theories, and yes, his Cleon Skousen connection to right wing lies that will make your head spin. But not completely around. That only happens in the secret Mormon temple ceremonies.